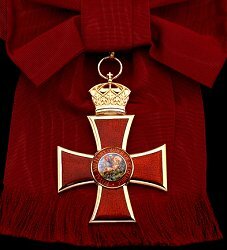 Awarded: For distinguished and meritorious military services by members of the uniformed services, including the Tonga Defence Services and foreigners. Grades: 5 (Grand Cross, Grand Officer, Commander, Officer, and Member) and 3 Medals (Gold, Silver and Bronze). 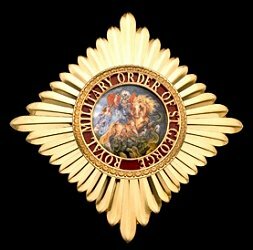 Post-nominal letters: Grand Cross (GCStG), Grand Officer (GOStG), Commander (CStG), Officer (OStG), and Member (MStG).